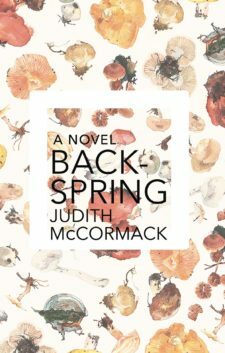 Judith McCormack was born outside Chicago, and grew up in Toronto, with brief stints in Montréal and Vancouver. She has several law degrees which have mostly served to convince her that law is a branch of fiction. Her first short story was nominated for the Journey Prize, and the next three were selected for the Coming Attractions anthology. Her collection of short stories, The Rule of Last Clear Chance, was nominated for both the Commonwealth Writers Prize and the Rogers Writers’ Trust Fiction Award, and named one of the best books of 2003 by the Globe and Mail. Her work has been published in the Harvard Review, Descant and The Fiddlehead, and one of her stories has been made into a film by her twin sister, Naomi McCormack, an award-winning filmmaker. Her most recent short story was anthologized in 14: Best Canadian Short Stories and was recorded in a spoken word version by The Drum.